The isoelectric point (pI) of native (not denaturated) proteins is important in several separation techniques. 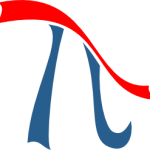 The pI is defined as the pH value at which the positive and negative charges on the protein are balanced and the net charge is zero. To determine the pH at which the net charge is zero, the charge on the protein is calculated at multiple pH values using Henderson-Hasselbalch equation, as described by Sillero and Ribeiro (1989). 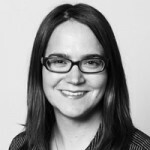 The usage of appropiate pK values is of crucial importance to caluclate correct pI. 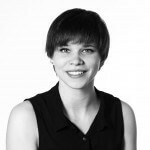 For denatured proteins, Bjellqvist et al. (1993) published an accurate methode to predict the focusing position of polypeptide in immmobilized pH gradients under denaturing conditions (8 M urea). On the other hand, amino acid side chain pK values of native proteins where measured using NMR. Grimsley et al. (2008) summarized 541 pK values of 78 folded proteins measured with NMR which were taken to calculate average pK values for each type of amino acid side chain. An algorithm to determine the isoelectric point of native protein using these average pK values is implemented in Prot pi’s Protein Tool. 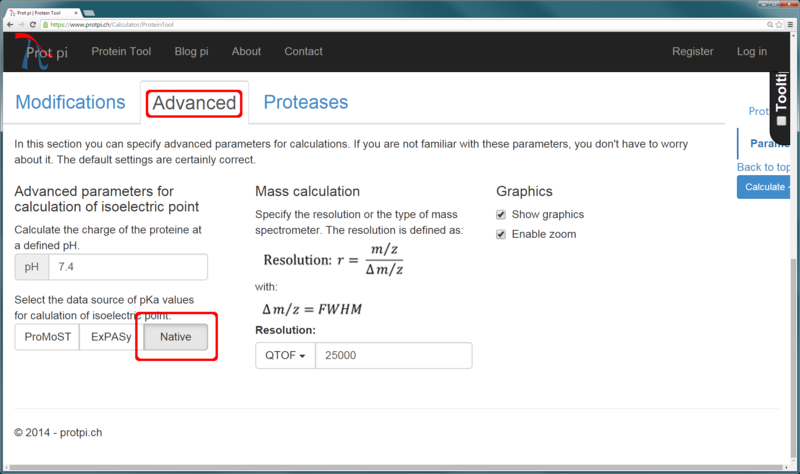 Choose “native” option in the “Advanced” tab to take advantage of this algorithm (figure 1). Figure 1: How to use the algorithm to calculate isoelectric points of native proteins. The calculated and the measured isoelectric point of five proteins with different properties were compared. Homo-and heteromultimeric, basic and acidic as well as small and very large proteins were taken to validate the calculated pI (table 1). 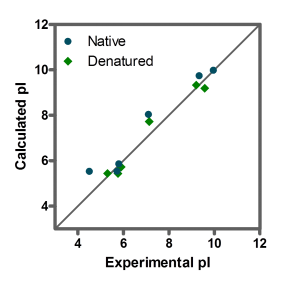 The calculated pI values showed reasonably good agreement with experimental ones for all of the six proteins under native and denaturing conditions over a wide range of physico-chemical properties (figure 2). 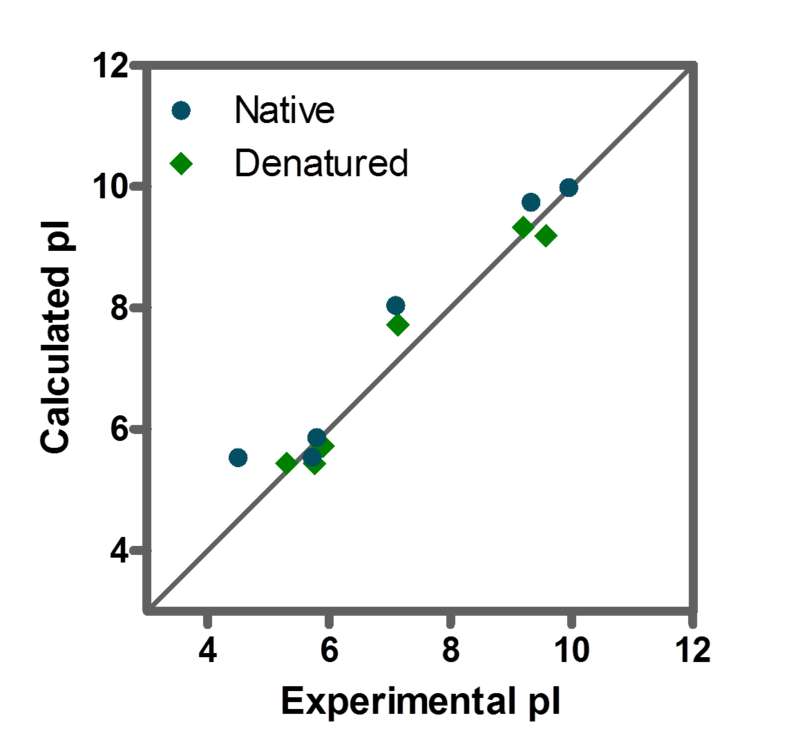 Figure 2: Correlation of experimental and calculated isoelectric point (pI) of native (blue) and denaturated (green) proteins. 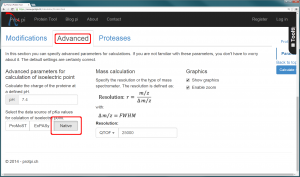 Prot pi provides an accurate tool to calculate isoelectric points of denatured and native proteins that takes charge contributions of multiple subunits, disulfide bonds and posttranslational modifications into account.